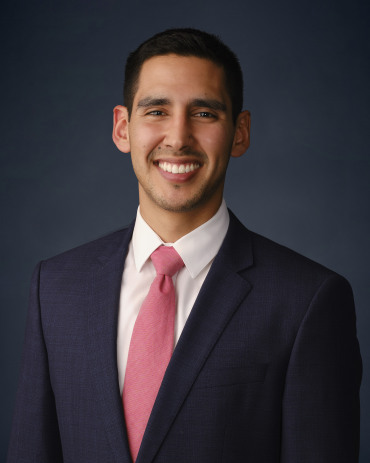 Carlos Fernández is a law clerk with Meriwether & Tharp, LLC. Born and raised in Coral Gables, Florida, he graduated from Belen Jesuit Preparatory School and held various positions as an IT throughout. Subsequently, in 2014, Carlos graduated from Emory University with degrees in Political Science and English. In 2018, with the help and guidance of his family, Carlos completed his legal studies at the University of Florida Levin College of Law, earned a Certificate of Family Law, was a trial practice teaching assistant, and served two terms as the Federalist Society’s Executive Vice President. Additionally, he focused his legal studies on taxation, financing and accounting, and entrepreneurship. Throughout law school, he worked at the St. Francis House and the Eighth Judicial District Circuit of Florida’s Family Law court and achieved an Outstanding Certificate in Community Service. Professionally, Carlos is fluent in Spanish and is focused on trial, tax, and UCCJEA jurisdictional matters. On a personal level, he enjoys playing basketball, reading paper books, and consistently winning his fantasy sports leagues.